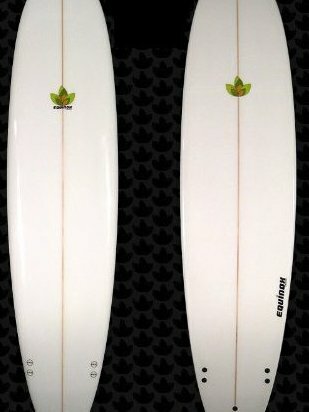 7'6" X 21-5/8" X 2-3/4". Performance Funboard. High Density Australian PU Foam. Hexcel Glassing, 6 oz on the bottom 6 oz + 6 oz on the top. Thruster setup with FCS G-5 fins included.